These projects have the capability of being downloaded, viewed and printed as a Portable Document Format (PDF). 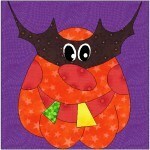 Sindy Rodenmayer, of FatCat Patterns, is giving away a free pattern! Download the PDF, or open the EQ7 project file! Love this pattern? 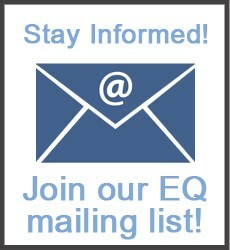 View all of Sindy’s EQ7 add-ons at ElectricQuilt.com! 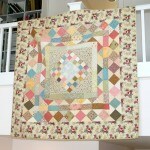 Paper Piecing pattern for antique enthusiasts. Paper Piecing Pattern. Finished block size: 10″ x 3″ plus seam allowances. This funny flags may become a fun upper border for any garden quilt. Tips for elongating the row to your needs are included. Incorporating a Creepy Cupcakes pattern from Angie Padilla this adorable bag comes together lickity-split! Get the instructions on how to make these adorable fabric daisies with Peel & Stick Fabric! Get the instructions on how to make these adorable fabric roses with Peel & Stick Fabric! This little apple bookmark is a quick and easy gift. It slides over the corner of a page to keep your place for that light summer reading! Pull out your scrap bin and whip up one (or two or three!) for your favorite teacher. 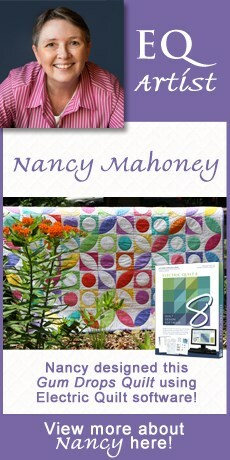 As seen in Aug/Sept 2011 issue of Quilters Newsletter, Frosted Cupcakes is a refreshed a beautiful old quilt into a fresh new replica using EQ7. Perfect for Holiday decorations! 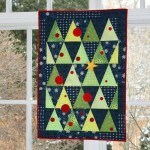 This quilt is easy and fast to make especially if you have the AccuQuilt GO! dies. Sometimes we pass this tote bag pattern out in the booth at trade shows. It is great for parents and grandparents who want to show off their kids! 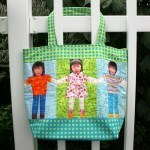 It uses Printable fabric for the faces. 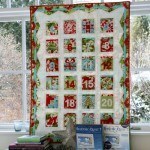 As seen in The Quilter Magazine, you’ll love this Advent Calendar with little pockets for treasures! 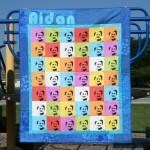 As seen in Quilters Newsletter Magazine, this quilt uses a child’s photograph, imported into EQ7, shows you how to apply an effect, then print onto EQ Printables. 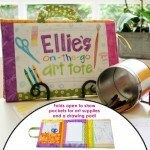 As seen in SQE Magazine, this adorable fold-up-and-go art tote opens up to reveal pockets for storing art supplies and a note pad station.